Controversial Sydney broadcaster Ron Casey has died at the age of 89. Starting in radio at Sydney station 2KY in the 1940s and was a regular on Sydney radio until the 2000s, with stints also at 2SM and 2GB. 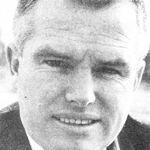 When television began in the 1950s, Casey starting working freelance for TCN9 in Sydney. 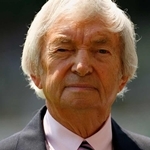 In the late 1960s he joined Nine full time as a presenter and sports producer. 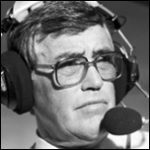 He also co-hosted the weekly program World Of Sport (not to be confused with the Melbourne-based sports broadcaster Ron Casey who coincidentally also hosted a program called World Of Sport) and was a commentator for coverage of the 1976 Olympic Games at Montreal. 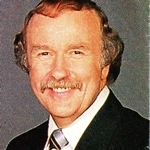 Casey was later a sports presenter for Ten in Sydney but often attracted outrage over his radio broadcasts which saw him taken off air or sacked on numerous occasions for comments usually of a racist nature. His controversial nature sensationally made its way to television, including a heated discussion with Jana Wendt about Asian immigration on A Current Affair which saw him walk off the set. Some years later on Nine’s Midday he was involved in an infamous on-screen scuffle with Normie Rowe during a debate over Australia becoming a republic. The pair were known to have patched things up in later years and also appeared together in a television commercial for Bushell’s tea. 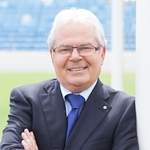 In 1988, Casey was awarded an Order of Australia Medal for his services to Australian television and sport. Ron Casey was my brother and my swimming coach in his Kingfisher squad at North Sydney Pool in 50’s and early 60’s . . He was a tough but very efficient coach and a really nice bloke . RIP Ron mate . He got my brother started at Chanel 9 in a Cadetship and we spent many amusing nights with Ron and Mike Gibson at the fights at Blacktown Workers Club and Rooty Hill and Revesby , the days of the mud the blood and the beer !